After a hard days work at the chocolate factory, Charlie fell asleep. 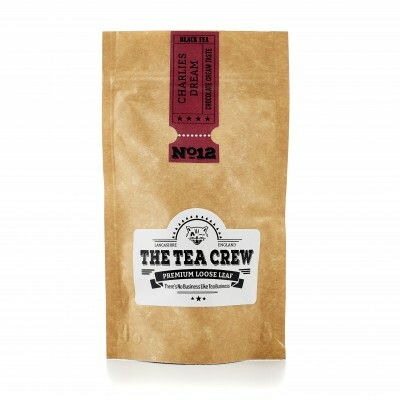 He dreamt of a lovely refreshing cuppa that tasted of creamy chocolate. 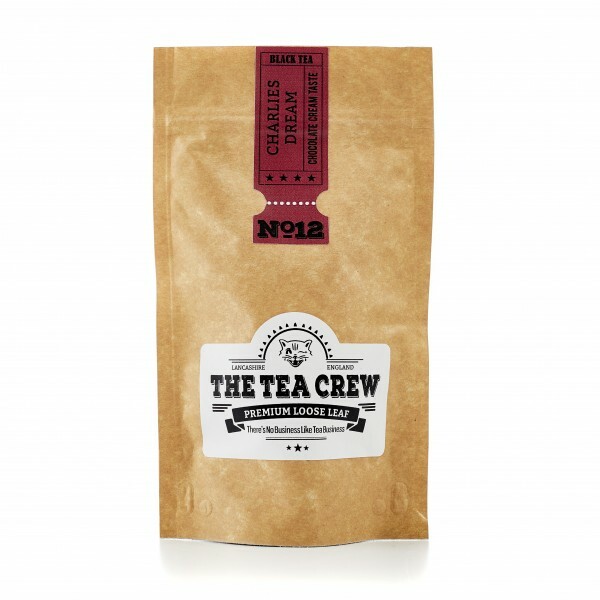 We have Charlie's dream brew right here, a sumptuous black tea blended to a creamy chocolate tasting perfection. 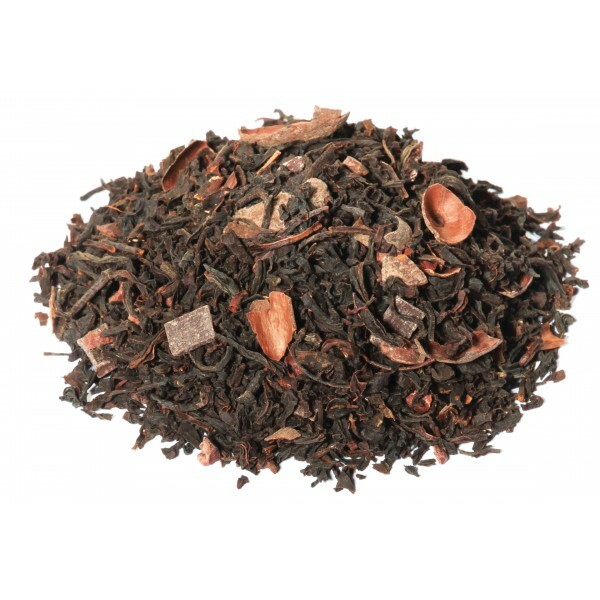 Black tea, cocoa, cacao nibs, CHOCOLATE (SUGAR, COCOA MASS, COCOA BUTTER, EMULSIFIER: SOYA LECITHIN E322) natural flavouring.